Bell Pottinger and beyond: does the PR industry have an ethical problem? The furore over Bell Pottinger's work in South Africa shines the spotlight on the wider industry's ethical practices. Are the agency's actions a one-off, or are moral lapses common in the sector? And if so, what should be done? Bell Pottinger’s controversial activities in South Africa pose a serious question: does the industry still have an ethical problem? Most agency chiefs contacted by PRWeek agree that work considered morally dubious (or, at least, work for morally dubious clients) is still undertaken by some PR and public affairs agencies. However, they say that it is getting more difficult to keep such activity under wraps in the digital age – and point out that ethical grey areas do still exist. 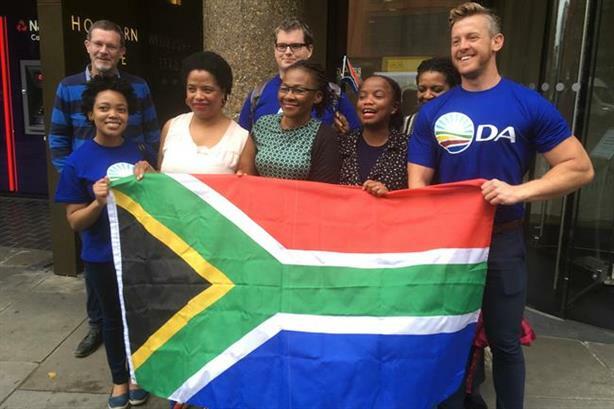 Following a long and damaging saga, Bell Pottinger has been ruled in breach of the PRCA code of conduct for its work with South Africa’s Oakbay Investments, which critics say was designed to create racial division in the country. In July, the agency dismissed partner Victoria Geoghegan and suspended three further staff as it apologised for having run an "inappropriate and offensive" campaign. Some agency bosses insist tough action must be taken against Bell Pottinger when the PRCA releases its full judgment next week, in order to protect the sector’s wider reputation. Lansons CEO Tony Langham, a PRCA board member who has been on holiday and so did not attend last week’s board meeting at which Bell Pottinger was discussed, is unequivocal. "It is vital for the credibility of the British PR industry that Bell Pottinger is dealt with in the harshest way possible by all professional bodies – and important that anyone with integrity distances themselves from the work they undertook in South Africa," Langham says. Bell Pottinger is not the only agency to suffer a recent backlash due to work on a particular client. In July, Weber Shandwick withdrew from a public affairs contract with Egypt after six months. That followed a critical feature in The Atlantic that accused Weber of working with "one of Egypt's top spy services". Meanwhile, MSLGroup and parent firm Publicis' work with the Saudi government came in for criticism last year by a UK human rights group. Accusations that Western PR and lobbying firms are involved in shady activities in far-flung lands are hardly new. But is Bell Pottinger an 'outlier' in this regard, or is dubious activity common, or even more prevalent than it used to be? Mark Borkowski, founder of Borkowski.do, thinks not. "I think it’s about the same. I don’t think we’ll ever cut out the cancer. "Wherever there’s someone who has a pretty big budget to spend on these sort of things, there will always be someone there picking it up; not necessarily in this country, not necessarily in America." However, pointing to the rise of websites such as Spinwatch and Source Watch, which investigate such work, he adds: "There are far more public policemen out there. There’s far greater scrutiny for this." Iain Anderson, Cicero Group executive chair and a former chair of the Association of Professional Political Consultants, agrees. He says it is "not sustainable" for agency chiefs to "turn a blind eye" to unethical practices, and calls for "due diligence" of potential clients. "Things have massively changed. I think in a digital world, the idea that you can not be transparent, that you can not be overt, that you are not on the record, that you can ‘astroturf’ [create fake grassroots campaigns]… that just gets found out, and it gets found out much, much faster." But for one agency boss, who declined to be identified, ethical decisions for PR agencies aren’t always black and white. What about, for example, if an agency starts working with a government that is broadly seen as humane but later commits unethical acts? For instance, around a decade ago Libya was courted by the west and was seen as making progressive strides, before Colonel Gaddafi’s vicious crackdown of protestors during the Arab Spring. Ketchum famously stopped working with the Kremlin in 2016 after 10 years, amid continuing tensions between Russia and Western governments following the country's annexation of Crimea, its activities in Ukraine and support for the Syrian regime. Notes the agency source: "I don’t think anybody really thought it was wrong for them to take that account in 2006." Sometimes the nature of the work can make a difference. The agency chief explains: "It’s difficult to say, ‘we’re working for the Saudi Royal Court but we’re not involved in the bombing of Yemen’ - it’s the same thing. But if Saudi Arabia went to a British agency and said, ‘we’re looking for a road safety campaign’, I think you’d probably take that work. "There are some things that are difficult and there are some things that aren’t difficult. If you’re working for a regime that’s causing atrocities, bombing people, has political prisoners, and is beheading people... you really have to ask if you can look at yourself in the mirror." Others are more upbeat about the industry’s moral credentials. "I think that ethical standards in our industry are actually extremely high," says Alex Deane, MD and head of public affairs UK at FTI’s Strategic Communications arm. "Examples of bad behaviour are reassuringly unusual and therefore attract all the more opprobrium and attention, given their rarity. Not only are so-called ‘dirty tricks’ unethical: they also don’t work, backfiring and harming the client, the company and the cause concerned." Rupert Neate, wealth correspondent at The Guardian, who has covered the recent Bell Pottinger case, agrees that scandal has created more interest in the ethical practices of PR and lobbying firms in general, among certain sections of the media at least. He believes the PRCA’s decision about what action to take against Bell Pottinger (due next week) will be crucial for PR’s reputation as an ethical industry. "I think this is a moment for the PR industry to show what’s acceptable and what’s not acceptable," Neate says.